Since Spring 2009, The University of Alabama has had a study abroad program in Havana, Cuba. UA in Cuba is open to all UA undergraduate students in all disciplines. Participants will spend the entire Spring semester engulfed in the historically enriched country of Cuba where they will engage in four classes, two of them at the University of Havana. While learning about topics ranging from U.S./Cuban relations to Cuban culture, students will have the opportunity to become part of the Cuban community. 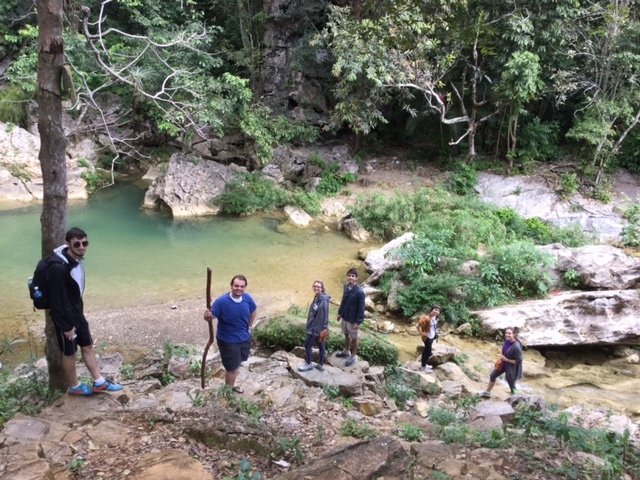 With the guidance of the director of the program, Dr. Michael Schnepf and many Cuban locals, students will also take excursions to historical sites like the Bay of Pigs, Vinales, and Matanzas. Check out the UA in Cuba page for details.